A quick race calls for a quick re-cap, and the 2 mile New Orleans Track Club event celebrating Father's Day was just that. 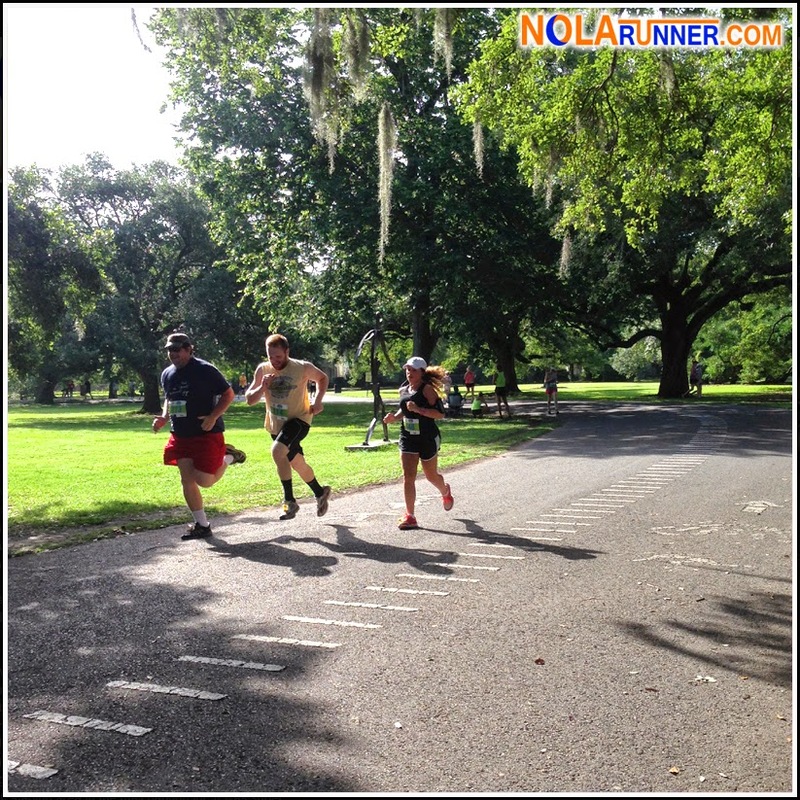 This past weekend brought together generations of NOLA runners for a tradition twelve years in the making. I didn't do a great job reading race details before heading to Audubon Park on Sunday. I saw an 8:00 a.m. start time, so I was on-site for 7:00 a.m. to pick up my number and the running shorts all participants received. I soon found out that the half-mile race started first, with the 2 mile race 20 minutes later. It was a sign that I needed to do a longer workout to waste time, so four miles around the running path and on St. Charles Avenue were my warm-up. I was still able to see the start of the half-mile race and line up for the 2 miler. The 2 mile race started on the 1.78 mile asphalt path inside Audubon Park, not far from the Magazine Street entrance. Morning joggers didn't seem to be fazed by the hundreds of racers who had taken over their territory, and merged with participants as they continued on with their leisurely strolls. When the starting gun fired, runners took off, passing under the finish arch before continuing on a full loop of the park's course. The four miles I ran before the race had loosened me up, and my first mile felt great. It was nice to run on a smooth surface after having already covered the streetcar tracks that morning. My pace was faster than it had been in months, and I decided to keep it up until the finish. The one downside to a 2 mile race is that it finishes almost as quickly as it begins, but I was glad to have a solid run behind me. Participants continued the party under the oaks after the race with jambalaya from Cook Me Somethin' Mister, snowballs, and Abita Strawberry Lager. An awards ceremony presented the top finishers with overall and age group awards, plus top-50 finishers received Grand Prix thermoses. Team awards were presented for runners who were competing with a paternal figure. My constant concern at races during summer is the water situation. The one water stop on the course was more than adequate for a two mile race, but the water at the finish wasn't easily located. I actually passed a sponsor tent before getting to the water. 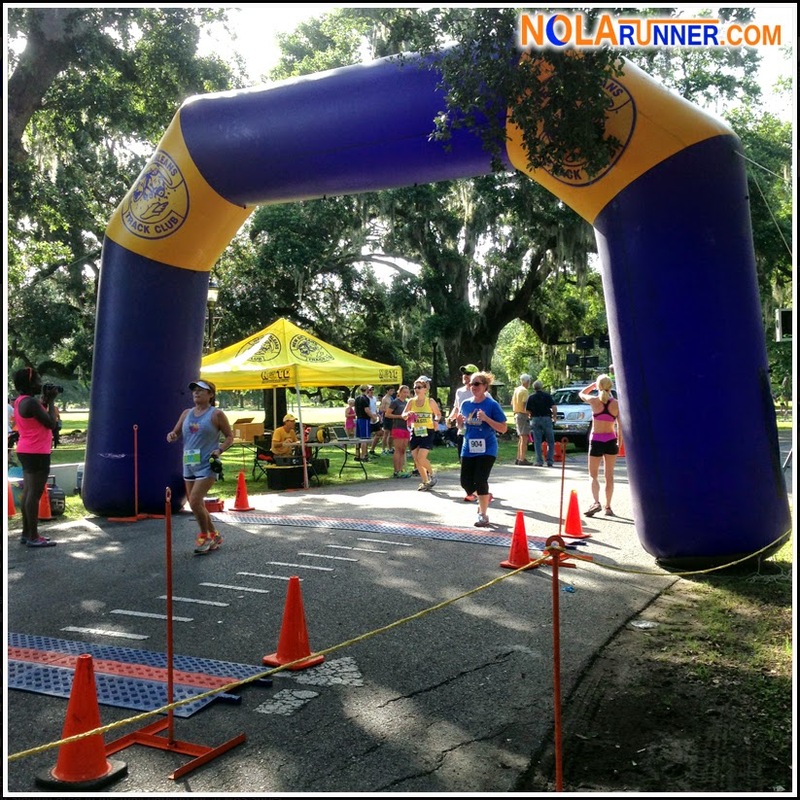 The first thing runners should have access to after crossing a finish line is water, especially at race in New Orleans from June through September. I really enjoyed this event, and at the low pre-registration price of $20 (for NOTC Members), the value couldn't be beat. The 2 mile distance is obtainable for athletes of all skill levels, allowing for families to come together and participate. For complete race results from the 2014 Father's Day Race, click HERE. Check out the photo gallery below of photos from the race. If you can't see the gallery, LIKE the NOLArunner Facebook page HERE.